Billions of pounds of food are wasted in the U.S. each year. The Heartland Biogas Project wants to turn some of them into electricity. What some see as a problem, however, others see as a business opportunity. 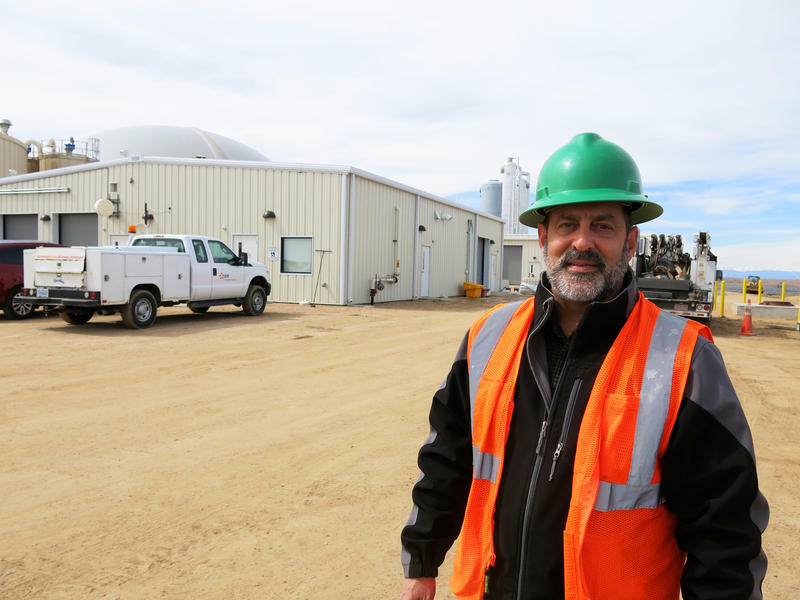 A new facility, known as the Heartland Biogas Project, promises to take wasted food from Colorado’s Front Range and turn it into electricity. Through a technology known as anaerobic digestion, spoiled milk, dented canned goods, old pet food, vats of grease and helpful bacteria combine in massive tanks to generate gas. You’ll find the project on a rural road in Weld County, a stone’s throw from the county’s numerous feedlots, dairy farms, and a short drive from the state’s populous, waste-generating urban core. Follow your nose to know you’re in the right place. There’s no way around it. The place stinks. The odor is a mix of cow poop and expired produce. “Yeah, there’s a lot of good smell around here,” says Scott Pexton of A1 Organics, an Eaton, Colorado-based composting company that runs the food waste portion of the plant. The six huge cream-colored holding tanks at Heartland work like an enormous stomach, each capable of holding 1.7 million gallons. In goes the food waste, everything from summer squash and citrus to pineapples and onions. 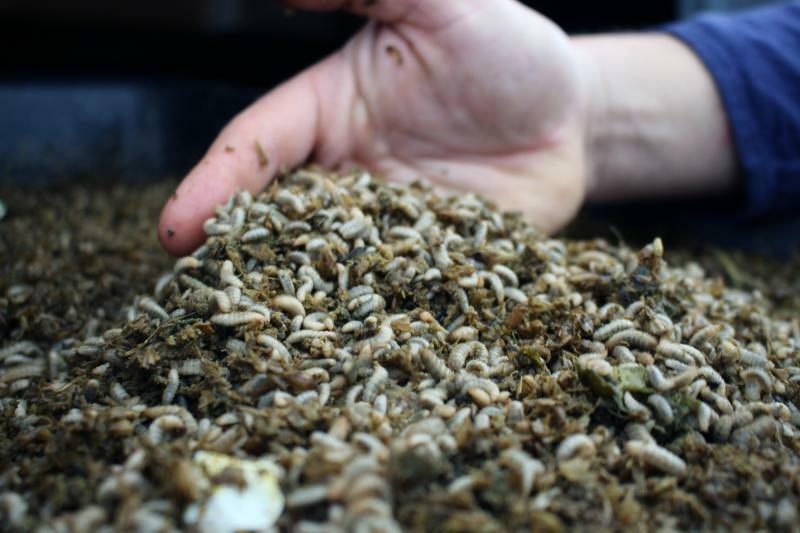 If you can eat it, it can go into the digester. Just like our own digestive systems, what comes out at the end is a liquid, captured in lagoons and reused; a solid, used for composting; and a gas. That’s what the owners of this plant really want: the methane gas. It’s captured and sent into an interstate pipeline and used to generate electricity. Pexton says if this food was thrown out, it’d be sending all that gas into the air. “In a landfill all it does is just rots and rotting food in a landfill makes methane gas but it’s an uncontrolled process,” he said. Anaerobic digesters like this one solve a few problems at once. 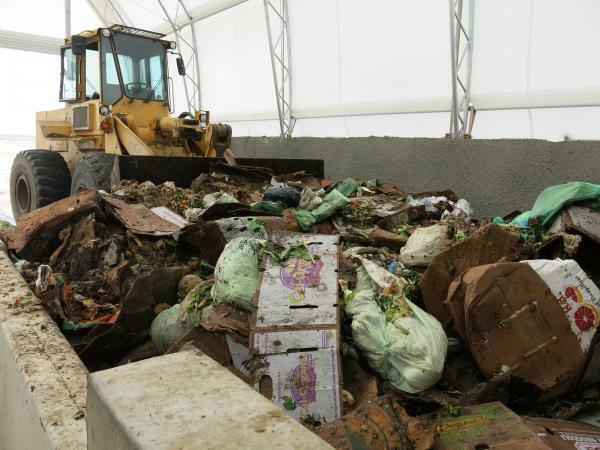 A recent report from the nonprofit group ReFED showed digesters can generate renewable energy, divert food waste from landfills, cut down on harmful emissions, and provide a few jobs along the way. “We’ve seen a lot of those types of digesters in Europe and we’re just starting to see them emerge in the U.S.,” said Darby Hoover, a resource specialist with the Natural Resources Defense Council, which contributed to the ReFED report. Anaerobic digestion is one promising piece of a much larger puzzle to solve the food waste problem, Hoover says. But digesters are expensive, and many require policy fixes to get off the ground. The Heartland Biogas Project’s developer EDF Renewable Energy locked in an agreement with the Sacramento Municipal Utility District in California to buy all the gas generated on site. That deal was prompted by high standards for renewable energy in the state. In many ways that’s a special case. Oftentimes, Hoover says, it’s municipalities paying for waste management for their residents. Digesters also don’t attack the root of the food waste problem, but rather manage the symptoms. Consumers throw out a staggering amount of food every year. Digesters are simply big machines that can swallow and digest the food we don’t eat. Knowing there’s a machine to clean up your mess could relieve some guilt of throwing food away. The federal government put out the country’s first-ever food waste reduction goals in fall 2015, calling to cut our food waste in half by 2030. Making renewable energy from food that can’t be eaten is admirable, Till says. But the best thing to do with wasted food is to feed people. Almost one in seven U.S. households are food insecure, unsure of where their next meal is coming from. “That fact coupled with the fact that we waste about a third of our food that’s produced. Those two facts together get me up in the morning,” Till said. Composter Scott Pexton agrees. Even if people stop throwing out perfectly good food, you’ll still have the banana peel. Even the most careful, responsible retailers, processors and farmers will generate some waste from time to time - and the digester out on the eastern plains of Colorado will be right there waiting. “We certainly believe in the idea of reduce first. But once the reducing is done then we take care of it from here on out,” Pexton said. We wasted more than 130 billion pounds of food in the U.S. in 2015. Most of that just sits in landfills, giving off methane. “Sustainability is more expensive. It is. It costs more to recycle things than to send them all to one place,” Pexton said. It’s more expensive now, but if wasted food is ignored and left to rot, the future could be even more costly. 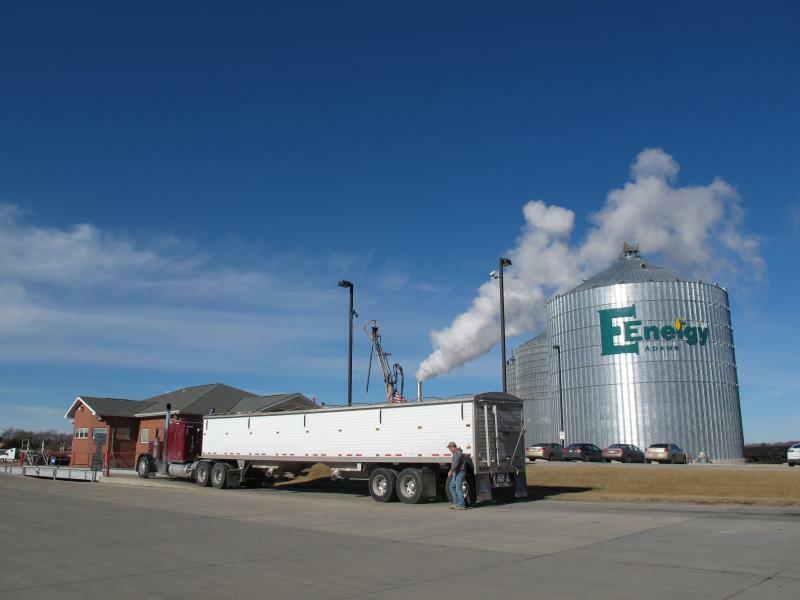 A new U.S. government study claims ethanol is better for the environment than most scientists initially expected, boosting an industry that is a boon to Midwest farmers but challenged by many environmental groups and the oil industry. 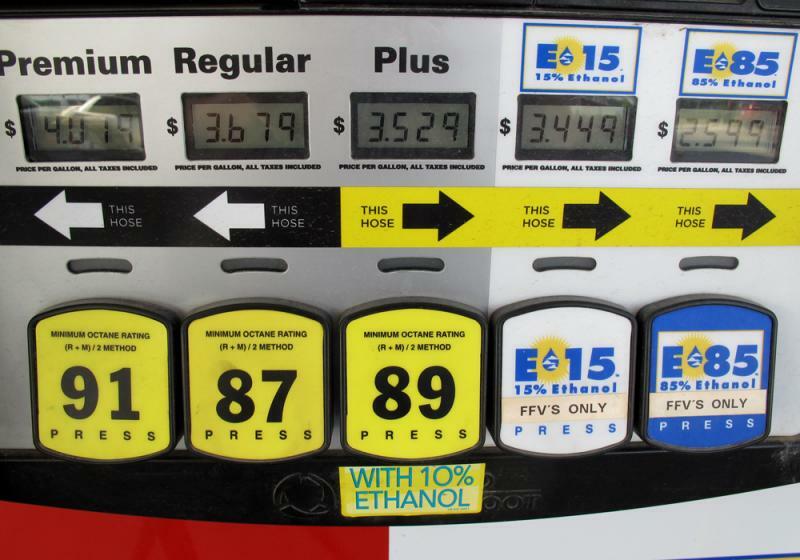 It was clear Thursday at a public hearing on ethanol policy, that the U.S. Environmental Protection Agency tries to thread a very tricky needle when it establishes renewable fuel plans. The EPA in May proposed modest increases in the amount of renewable fuels it will require oil refiners to blend into the U.S. gasoline and diesel supply next year – a total of 18.8 billion gallons, up from 18.11 billion gallons this year.